Kids love playing nurse and doctor. There is just something exciting about rushing one of your 'patients' in for an emergency tonsillectomy or just performing a routine check-up on your favorite teddy bear is a fun little game to play on a rainy day. Playing doctor is more fun when you are looking the part. Kids will love making their stuffed animal's boo boos feel all better while they are dressed for the role. 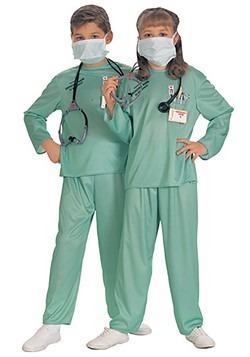 Girls will love nursing their dolls back to health while they are in nurse scrubs. Fix a puppys broken leg while suited up as a Veterinarian. 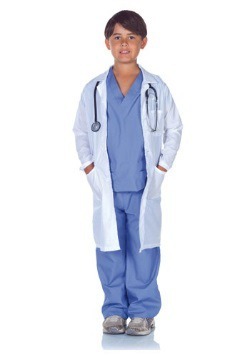 Don't forget to add a stethoscope so you can hear heatbeats of all the 'patients.' 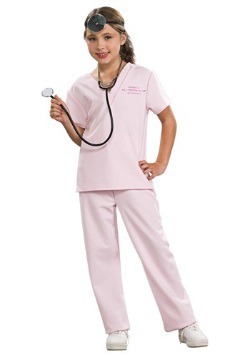 Who knows, maybe your little one will love wearing a doctor's costume so much that he or she will pick it as their profession!